The following is a guide to assist elementary educators as they develop an understanding around the process and procedures of the new Massachusetts teacher evaluation system. The Department of Elementary and Secondary Education in collaboration with the Massachusetts' Teachers Association worked on this new system. The MTA got involved to help create a fair system for all educators. 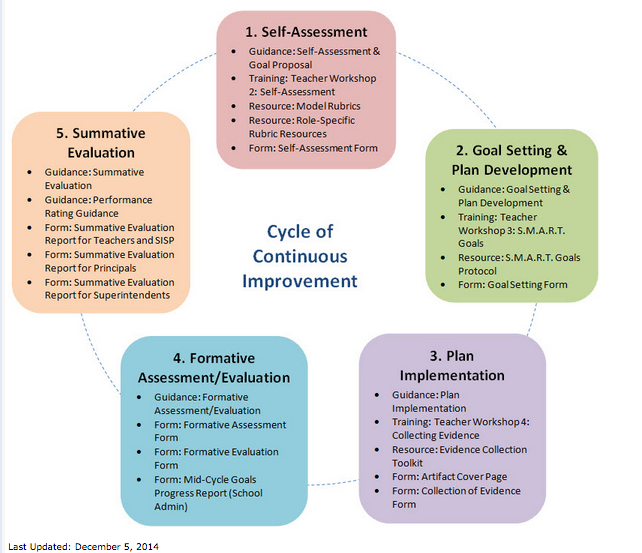 The MTA has created a comprehensive resource that outlines the evaluation process clearly. There is also lots of information on the Massachusetts DESE website evaluation page. This site was created and reviewed during the summer months of 2013 by the Wayland Public Schools' Elementary School Principals and Pilot Team. Timelines were updated on 1/2015. Note that the process continues to evolve, so please verify information on this website with your identified evaluator.